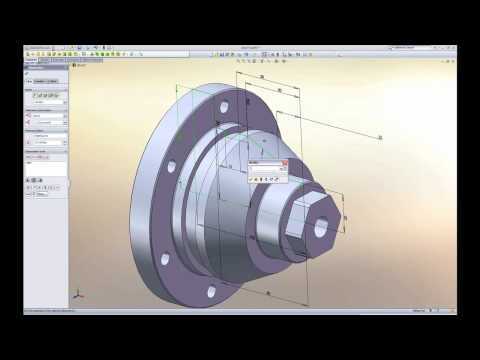 EdgeCAM Solid Machinist loads native SolidWorks parts and assemblies without translation, enabling EdgeCAM to utilize more of the intelligence within the model to generate efficient machining strategies. With EdgeCAM Solid Machiniist for Solifworks, individual parts, SolidWorks configurations and assemblies are loaded directly into EdgeCAM. Solid models are machined using innovative, reliable and gouge free roughing and finishing cycles. Intelligent approach strategies provide a high-quality surface finish while optimizing machining times and maximizing tool life. In addition EdgeCAM toolpaths are optimised for high speed machining.